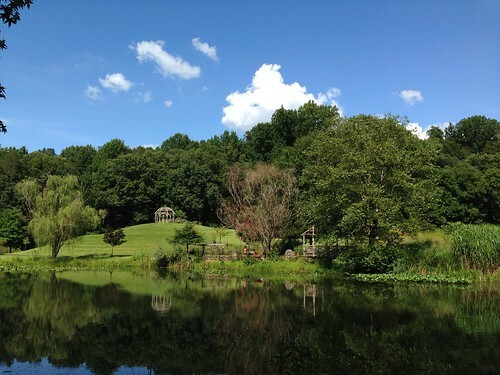 Meadowlark Botanical Gardens was almost ridiculously beautiful when we visited on Saturday afternoon. We hadn’t been there for a few years (since we got the car in 2010). 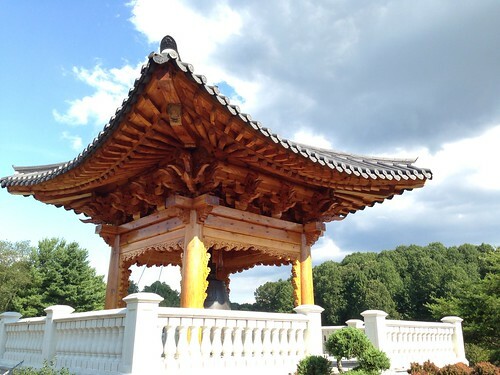 It was nice to see the Korean Bell Garden all finished. 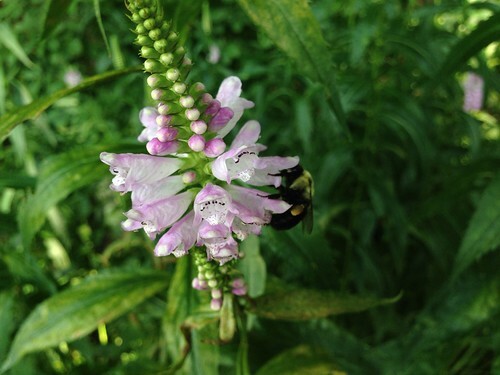 Bees sipped from obedient plant flowers on the Potomac Valley trail. 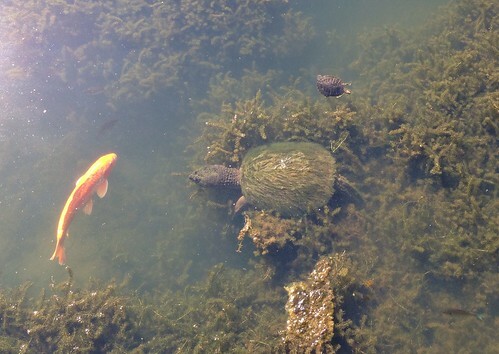 And in Lake Caroline one could go out to the gazebo and look down at carp swimming around a giant snapping turtle with a moss-covered shell.